**OVER** ALLONS DANSER! (LET'S DANCE!) Musical CD Review & Giveaway! The Allons Danser! (Let's Dance!) CD is a new French for kids CD from Whistlefritz. It is a delightful musical collection, intended for children ages two to seven. The CD is about 40 minutes long and it is full of catchy original and beloved favorite tunes meant to help kids learn French. It will definitely get your child into the language-learning groove! I have listen to the CD a few times so far, and although I think it its a very cute and fun CD, I can't tell you yet whether or not my kids are actually learning French. But, I believe it is all about repetition and if we listen to the CD more, we, including myself, will all start to pick up a little French. The tunes are wonderful and kids love listening to the CD while driving in the car. Allons chanter! (Let’s sing!) Allons danser (Let’s dance!) Apprenons le français (Let’s learn French!) Get in the language-learning groove with this fun-filled collection of original tunes and beloved traditional favorites performed by internationally-acclaimed French artists Marie-Louise Desage and Didier Prossaird. From “Bonjour Les Amis”to “Au Revoir”, kids and adults will want to dance and sing along to these irresistible rhythms and catchy lyrics that introduce French words and phrases such as numbers (“Un, Deux et Trois”), parts of the body (“La Tête, Les Épaules/Head, Shoulders”) and children’s favorite topics (“Quand Je Serai Grand/When I’m Big” and “Y’a Pas de Fête Sans Gâteau/It’s Not a Party Without Cake.”) A rollicking rendition of “Le Vieux MacDonald (Old MacDonald)” puts a French twist on a beloved classic. Take the music and fun along with this French learning CD which makes learning French as easy as un, deux, trois! Founded in 2006, Whistlefritz was borne out of a mom's passion to teach her children a second language. Motivated by research showing that early childhood was the best time to learn a language, Whistlefritz's founder Heidi Stock set out on a mission to assemble high- quality teaching materials for her children. Not finding what she wanted, she created a line engaging, playful, live-action language immersion programs. Whistlefritz is a trusted name in language learning entertainment, working with schools and parents across the United states and internationally to do one thing: create entertaining and educational programs to inspire children to want to learn a new language. 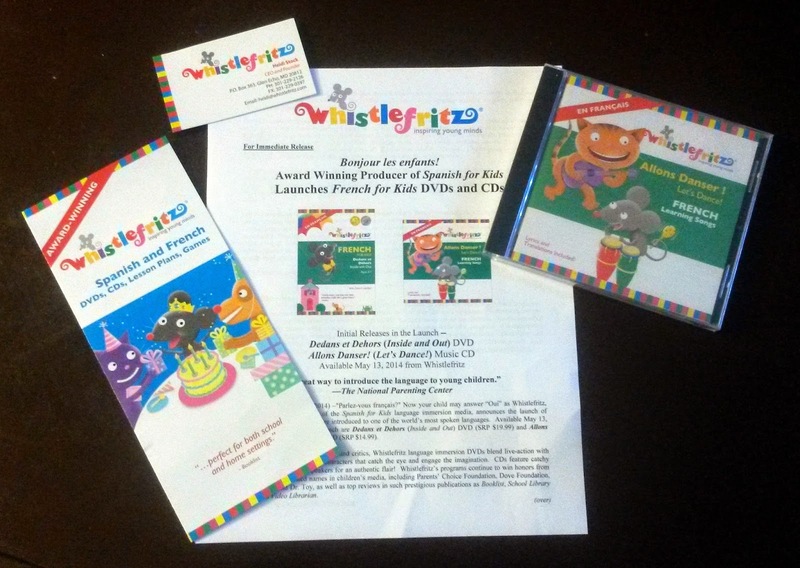 For more information and to order Whistlefritz products, please visit www.whistlefritz.com. Disclosure: I was not financially compensated for this post. The opinions are my own and based on my personal experience with the product. All entries are optional. No purchase necessary to win. Must be 18 years of age or older at time of entry. Must be a resident of the lower 48 United States. No A.P.O. Boxes or P.O. Boxes. Must read and abide by terms, conditions and official rules listed on this blog and the Rafflecopter form. Drawing begins 5/28/2014, 12:01am. and Ends 5/31/2014, 11:59 pm. The winner will be chosen randomly through Rafflecopter Random Selector and contacted via email or Facebook. 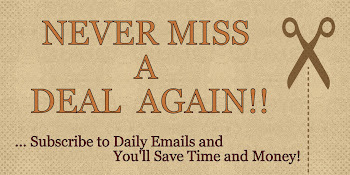 Must claim prize within 48 hours of prize winning email notification or one alternate winner will be chosen at random by Rafflecopter without notice. The winner's entries will be verified -- please make sure you follow the instructions and submit the entries correctly. All incomplete entries will be void without notice. You do NOT have to be a blogger to enter. By participating in this prize drawing, you understand this giveaway is not associated, affiliated nor sponsored by Facebook, Twitter or any other social media outlet and is sponsored in full by participating blog(s). The Cafe Coupon is responsible for the awarding of the prize. If you have any questions about this giveaway, please email the me at thecafecoupon@gmail.com.